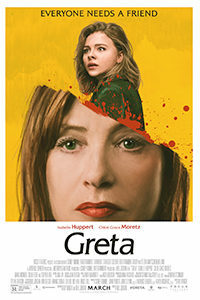 Neil Jordan enters the pop-thriller arena with his latest, Greta, a chilling stalker movie that belongs in a marathon alongside Fatal Attraction (1987) and Single White Female (1992). Indeed, there’s a throwback quality to the movie, which was written by Ray Wright and Jordan, in that it employs commonplace story beats in a familiar arrangement. You know the drill: A naive protagonist makes a new friend in the big city. The friend turns out to be a stalker who, after the protagonist tries to end the increasingly uneasy friendship, becomes aggressive. Invariably, there’s an animal, usually a dog, who must die to demonstrate that the stalker is an absolute psycho. In the end, the psycho meets their demise, and everybody learns a valuable lesson about issuing trust to strangers in our crazy modern times. Viewers expecting something outside of these broad strokes should look elsewhere. But what this female-led movie does well is work within the constraints of its genre, using its routine setup and building upon it with strong performances and a number of intelligently crafted suspense sequences. And sure enough, things quickly go sour when Frances discovers a cupboard in Greta’s home filled with handbags similar to the one she found on the subway—all part of the woman’s elaborate, oft-repeated scheme to lure young women into her home for reasons best discovered on the screen. When Frances tries to break off the friendship, Greta responds with obsessive behavior often attributed to sexual stalkers. She sends a constant string of texts, calls relentlessly, shows up at Frances’ job, lingers outside of her apartment, and becomes aggressive when rejected. There’s also a breathless chase sequence where Greta follows Erica through the city, taking pictures of her and texting them to Frances as she narrows-in on her prey. Where the movie plays with conventions is the nature of the central relationship, which is not between two lovers but between a mother-daughter proxy. The psychology of a fixated lover is tantamount to the would-be bonds between a parent and child here, and the notion of a parent who cannot let go is something Jordan explored between characters in his feminist vampire story Byzantium (2012). Greta claims she just wants to escape her “terrible isolation,” and in doing so, brings to mind Huppert’s other, similarly disturbed role in Michael Haneke’s The Piano Teacher (2001). Although Moretz is just serviceable as the lead, Huppert makes Greta better than it might be without her. She’s deliciously sadistic and clearly having fun with the pulpy material, which allows her to perform nasty scenes from an aggressive gum-spitting to a frightening outburst in a restaurant to a horrific dance of death. It’s a self-aware and campy performance in which Huppert’s levels go from calm and intimidating to raging and maniacal in a split-second. As Jordan reveals more about the character and scheme, it becomes apparent that he’s riffing on Whatever Happened to Baby Jane? (1962). Later on, Jordan’s longtime collaborator Stephen Rea shows up as a private investigator. Also, Monroe, who starred in the invisible stalker movie It Follows (2014), deserves credit for making her role more than just a best-friend trope. By the end, Erica is the strongest woman in the film. Jordan’s career has alternated between severe, intertextual dramas and more conventional fare with a broader appeal. In the former category lies his debut Angel (1982); the British gangster classic Mona Lisa (1986); his breakthrough The Crying Game (1992); his underseen portrait of youth-gone-wrong, The Butcher Boy (1997); and his portrait of an Irish trans woman in Breakfast on Pluto (2005). 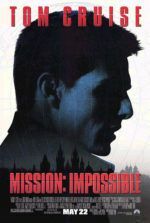 But he’s also tried his luck at a series of comparatively unsophisticated commercial movies, such as the paranormal romantic comedy High Spirits (1988), his Hollywood remake We’re No Angels (1989), and his urban revenge story The Brave One (2007). 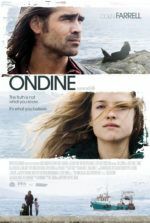 Occasionally, his work overlaps these two poles, such as with Interview with the Vampire (1994) or his realist fairy tale Ondine (2009). But with his latest, Jordan enters the latter, more bankable category, which, given the director’s track record, also means a less satisfying experience. Greta doesn’t have the artistry of Jordan’s best efforts, but it’s accessible mainstream entertainment, even if fans of his more intellectually engaging output may be disappointed by such a prospect. 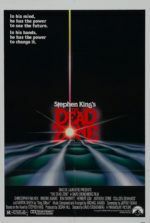 It’s the kind of movie that will have you gasping and shouting in your head, “Don’t go in the basement!” But the B-grade thrills achieve what they set out to do, even if the screenplay only alludes to the most compelling if creepy aspects of its titular character. Elsewhere, the production values are high, as Seamus McGarvey offers a slick visual presentation, and Javier Navarrete’s jacked-up score never misses an opportunity to overaccentuate a scene or emotion. Above all else, Huppert is the reason to see Greta. Her character is a seedy reflection of our world and inability to trust our neighbors, and how that reality results in claustrophobia that, at least in this movie, is both figurative and terrifyingly real.